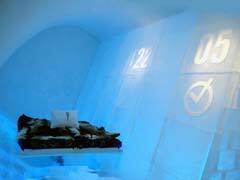 From an ice hotel that is only open from December-April and needs to be rebuilt each year in Kiruna in the North to relaxing (and somewhat warmer!) Baltic Sea cruises that depart from ports further south, the country of Sweden offers tourists diverse experiences to go along with its Viking history. As the largest of the Scandinavian countries, tourism in Sweden has a lot to offer the vacationer. To its west is the Scandinavian Mountain chain and Norway while to its east lies Finland. 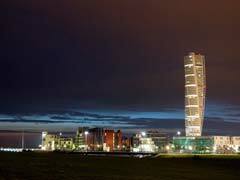 There is a ferry service and the Oresund Bridge that links the southern city of Malmo with Copenhagen in Denmark that is an impressive structure not to mention a major tourist attraction in the area. The bridge is the longest in Europe at 8km in length and allows travelers to Sweden beautiful views of the city of Malmo as well as being an architectural marvel that in addition to allowing for car traffic boasts a train that connects the two countries. Malmo City Hall and the St. Peter’s Church are lovely examples of the architecture of the region and are only a short walk away from each other in the city center. With fountains and statues, the city hall is something to behold while St. Peter’s is Baltic Gothic in style with a renaissance altar that is still a working church to this day. Stockholm is the capital city and it is here that tourists to Sweden can take in the Vasa Museum. The Vasa was a 17th century vessel who sank on her maiden voyage in the middle of Stockholm. After being left for some 333 years, she has now been faithfully restored to her former glory and is housed in the museum along with 9 different exhibits and a movie of her history. This museum is the most visited in all of Scandinavia and is definitely a major tourist attraction. The Skansen Open Air Museum offers the visitors a look back in time in the oldest such museum in the world. One hundred and fifty farms and buildings from across the country have been relocated to this area that also houses a zoo featuring native species like moose, seals and bears. See tinsmiths, potters, a bakery, churches, houses and glass blowing as well as learn about the history of the country all in one interesting stop. Because Stockholm is a city made up of 14 islands connected by 57 bridges, one of the best ways for getting around is by boat. There are many different tours available that take tourists around the islands, under the bridges and on tours to see the Royal Canals or some of the 30,000 islands that make the archipelago. A fast paced way to see most of the archipelago in a short time is to take the Archipelago Race which is on a motor boat and will allow you to see all the sights in one amazing adventure. There are also many hop on, hop off boats that you can use to see all the sights on your itinerary for one small fee per day. 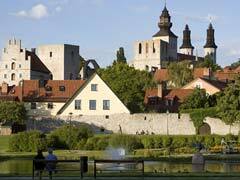 Visby is a city on an island that lies to the east of mainland Sweden, in Gotland County. It is an UNESCO World Heritage Site and the best preserved medieval city in all of Scandinavia. The only way to access the island is by air or boat and tourists to Sweden can see all the charms of the city like the Visby Cathedral or the harbor. St. Nicolaus church is a ruin but an attractive tourist attraction because of its history. It was built in 1230 and was burned in 1525. Today only some of it remains as it was never rebuilt but it has a rich history that it shares with other buildings in Visby like the North Wall and the Packhusplan Square. Travelers to Sweden who venture up towards the north of the country will encounter Lapland, where Santa Claus is said to reside and where reindeer are a common sight. This is near Kiruna where the Ice Hotel is located during the winter months for those adventurous enough to want to stay in one of their 80 rooms, where everything, even the beds are carved from ice. Swedish tourism also offers many Baltic Sea cruises and as a lot of the country’s coastline is on either the Baltic Sea or the Gulf of Bothnia on the eastern side, it is not surprising that cruises depart from various ports such as Visby, Stockholm, Goteborg and Helsingborg. Travelers to Sweden can partake in many different cruise opportunities offered by the likes of Holland America, Princess, Celebrity and SeaDream that offer many different itineraries and visit many different countries in their week or two week sailings. 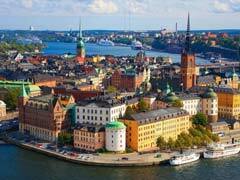 Sweden is a country that has it all with close proximity to many other European countries and a friendly atmosphere that welcomes visitors year round.